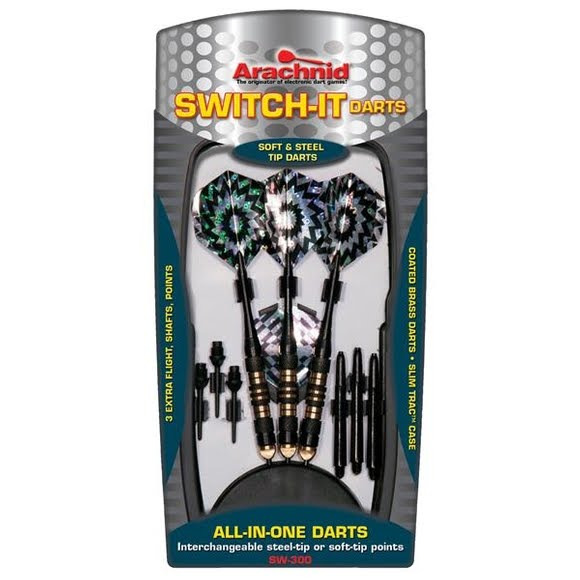 DMI's Classic Switch It Dart Set handles soft or steel tipped dartboards with ease, making it the perfect all around set for the prepared darter. DMI &apos;s Classic Switch It Dart Set handles soft or steel tipped dartboards with ease, making it the perfect all around set for the prepared darter. .25” steel-tip and soft-tip points.